You are unique, and so is your pain. Visit our conditions and treatments page to learn about the many ways we help our patients relieve pain and how we treat the most common conditions. To see one of our MD, advance practice providers or pain psychologist, you will need a referral from your primary provider. If you would like to participate in chiropractic care, rolfing, massage, or acupuncture, you do not need a referral, but may just call or schedule online. Every person experiences pain in a different way. That's why our team of integrative pain specialists work closely with you to identify the cause of your pain and create a treatment plan just for you. We've helped thousands of people manage their pain through a careful mix of treatments and therapies so that they can regain control over their health and quality of life. OHSU is an academic health care institution, which means we are leaders in research, education and providing the very best care for all Oregonians. 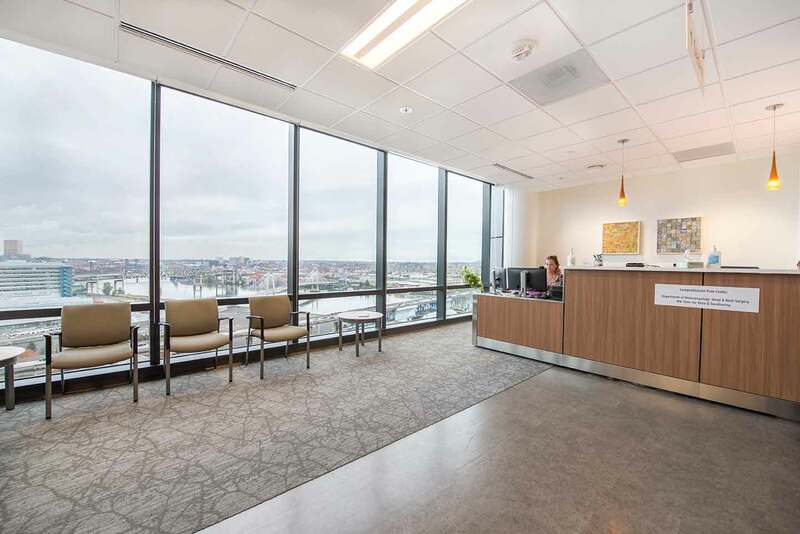 In September 2016 we opened our beautiful new clinic on the 15th floor of the Center for Health & Healing in Portland's South Waterfront neighborhood. With a soothing environment and sweeping views of mountains and the Willamette River, our new clinic reflects our commitment to give you the very best care.